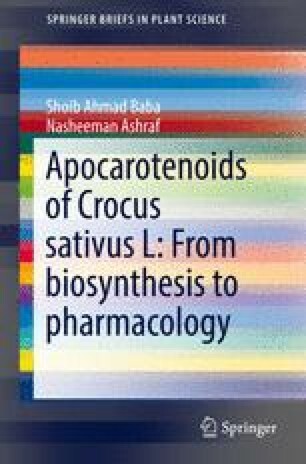 Carotenoid Cleavage Dioxygenases of Crocus sativus L.
Carotenoid cleavage dioxygenases (CCDs) form a multienzyme family, the members of which are involved in the production of a diversity of apocarotenoids. The apocarotenoid module vital physiological and developmental processes in plants. This chapter deals with the different aspects of plant CCDs in general and C. sativus in particular such as structure and reaction mechanisms. Further, this chapter also discusses the role of CCDs in plants and their application in plant biotechnology.